You are invited to come and take a look at our amazing art work on Tuesday 2nd April straight after school! Please remember to take your wellington boots home this week. Mrs Tarrant and Miss Royce – Learning to read and write words with the ‘ie’ and ‘ea’ spellings. Miss Keast – Learning to read and write words with the ‘er’, ‘ur’, ‘ir’, ‘f’ and ‘wh’. Mrs Williams – Reviewing all the alternative pronunciations and spellings we have done so far this half term. Miss Stent and Mrs Inker – Learning to read and write words with ‘oy’ and ‘ir’. Mrs Thomas - Learning to recognise and read words with ‘air’ and ‘ear’. Literacy – This week in Literacy, the children will be planning their work on how to write instructions for their moon buggy. Maths - This week in Maths, the children will be starting division by sharing into halves and equal groups. Thank you for all your boxes and cardboard tubes for our amazing art project starting next week! Please continue to bring in any size or shape but no toilet roll tubes please! Mrs Tarrant and Miss Royce – Learning to read and write words with the ‘ay’ and ‘ou’ spellings. Miss Keast – Learning to read and write words with the ‘au’, ‘ow’, ‘aw’, ‘oo’ and ‘ie’ spelling. Mrs Williams – Introducing alternative spellings for ‘or’ and ‘w’. Miss Stent and Mrs Inker – Learning to read and write words with ‘ie’ and ‘ea’ and high frequency words ‘was’ and ‘said’. Mrs Thomas - Learning to recognise and read words with ‘oo’, ‘ar’ and ‘or’. Literacy – This week in Literacy, the children learning a new non-fiction text for writing instructions. They will be learning the features of an instructional text. Maths - This week in Maths, the children will be continuing with arrays and counting in 2s, 5s and 10s. We will also be exploring odd and even numbers. Please note that PE will be back to Mondays and Fridays as before. Please come to school on Monday in PE kit. Thank you! Next week could all the children bring in boxes and cardboard tubes for our amazing art project! They can be any size but the bigger the better. No toilet roll tubes please! We will be creating some wonderful art inspired by Mondrian! Do you have any postcards or art that we could look at? If so feel free to bring them in. Could you also bring in a spare (and clean) pair of socks for maths. We are multiplying by 2! Mrs Tarrant and Miss Royce – Learning to read and write words with the ‘e-e’ and ‘i-e’ split digraphs. Miss Keast – Learning to read and write words with the ‘th’, ‘ng’, ‘ch’ and ‘sh’ digraphs. Mrs Thomas - Learning to recognise and read words with the sounds ‘q’, ‘w’, ‘x’, ‘y’ and ‘z’. Literacy – This week in Literacy, the children will innovating the story of ‘No Bot’ by introducing a new character! They will compose a sentence before writing it and will be encouraged to use noun phrases and similes to describe their new character. Each class will be boxing up the story which will help them when writing their character description. Maths - This week in Maths, the children will be starting multiplication and division by using the strategy of repeated addition, counting in 2s, 5s and 10s. Mrs Tarrant and Miss Royce – Learning to read and write words with the ‘ey’ and ‘a-e’ digraphs. Miss Keast – Reviewing phase 5a sounds. Mrs Williams - Reviewing alternative spellings taught so far. Miss Stent – Reviewing phase 3 And 4 sounds. Mrs Inker- Learning to recognise and read words with the 'air' sounds in. Literacy – This week in Literacy, the children will be focusing on writing using different sentence starters and will continue using adjectives and similes to make our writing even more exciting! Maths - This week in Maths, the children will be learning to find more than and less than any given number up to 50! Please remember to bring in your SMALL shoe box ready for making your moon buggies! Welcome back to the 2nd half of our Spring term! We hope that you have all had a restful and enjoyable half term break and that the children are ready to learn all about space! For our DT zone this term, the children will be making moon buggies. For this, we would be very grateful of any small, children's sized shoe boxes. If you could possibly send these into school with your child we would be very grateful! Thank you! Mrs Tarrant and Miss Royce – Learning the 'oe' and 'au' digraphs and we will also be reading and writing words and sentences with these sounds in. Miss Keast - Learning the alternative pronounciations for the sounds, a, y, ch and ou. Mrs Williams - Learning alternative spellings for the 's' and 'ar' sounds. Miss Stent – Learning to sound out and read CVCC words with a selection of Phase 4 consonant blends, e.g. st, gr, bl and ng. Mrs Inker- Learning to recognise and read words with the 'ear' sounds in. Mrs Thomas - Learning to recognise and read words with the sounds, j, v, w and x.
Literacy - The children will be introduced to our next story. They will be story mapping the text and will be focusing on using adjectives in their writing to create noun phrases. Maths - This week in Maths, the children will be learning different strategies to use when counting forwards and backwards to fifty. Our class zones this week. DT Zone – This zone will be in Badger class this week. We will be learning all about moon buggies and how they can be used in space. The children will have the opportunity to design their own moon buggy and will use their designs to build their own, moving moon buggy! History Zone - This zone will be in Mole class. We will be learning all about the famous astronauts including learning about the first moon landing. We will make a fact file about the famous astronauts using favourite facts. The children will also be learning about what it takes to become an astronaut and will be immersed in the NASA training facility in the role play. Computing Zone - This zone will be in Fox class this week. The children will be learning the story, "Bob, The Man on the Moon". In the role play area the children will have the opportunity to buy a ticket and blast off to space with Astronaut Bob! The children will learn to program Bee-Bots by navigating through space and will also be recording their algorithms. We will also be using Purple Mash to create and store pictures on the iPads. We would be very grateful if you have any small bottles such as Actimel ones or jam jars at home which could be brought in for craft activities for the imminent arrival of the Queen! Please could these be washed and brought in by next Wednesday 13th February. Thank you very much! For our Tea party on Wednesday 13th February, the children are invited to come to school wearing party clothes. Mrs Tarrant and Miss Royce – Learning the 'ph' and 'ew' digraphs and we will also be reading and writing words and sentences with these sounds in. Miss Keast - Learning the alternative pronounciations for the sounds, y, ch and ou. Mrs Williams - Learning alternative spellings for the 'oi' and 'r' sounds. Miss Stent – Revising all Phase 3 digraphs with a selection of Phase 4 blends, e.g. st, gr, bl and ng. Mrs Inker- Revising all Phase 3 sounds learnt to date. Mrs Thomas - Consolidating all sounds learnt and using our knowledge to add sound buttons to words to help us when sounding them out. Literacy - The children will be learning about the features of a recount such as using time words to order events e.g. first, next, then. The children will be using this knowledge to support them when writing a recount all about their tea party with the Queen! Maths - This week in Maths, the children will be learning all about doubling numbers up to 10. They will also be recapping what they have learnt about halving. This week is a very exciting week! We are going to be experiencing the Great Fire of London with the homes we have built and preparing for our tea party! The children will be making flowers for the Queen, baking scones for the party, making sandwiches and fruit kebabs to enjoy when the Queen arrives! They will also be making their own crowns to wear on Wednesday! Mrs Tarrant and Miss Royce – Learning the 'aw' and 'ph' digraphs and we will also be reading and writing words and sentences with these sounds in. Miss Keast - Learning the alternative pronounciations for the sounds, ow, ie, ea and er. Mrs Williams - Learning alternative spellings for the 'ow' and 'ng' sounds. Miss Stent – Learning to recognise the 'air', 'ure' and 'er' sounds in words with a selection of Phase 4 blends, e.g. st, gr, bl and ng. Mrs Inker- Learning to recognise and read words with the 'oi' and 'er' sounds in. Mrs Thomas - Recognising the sounds, ll, ss and ck and using them to read and write CVC words. We will also be learning to read captions with words which have all of our previously learnt sounds in. Literacy - The children will be continuing to describe settings and will be encouraged to use the power of three, similes and different sentence starters to make their writing even more exciting! They will also be writing a new version of the story, "Katie in London" and will be changing where she visits, will she go to the beach, the jungle or the moon?! Maths - This week in Maths, the children will be continuing their learning about measurement. We will be comparing lengths and heights using the language, shorter, shortest, longer, longest, taller and tallest. With our imminent arrival of the Queen on Wednesday 13th February, all classrooms will have the same zone this week. We will be learning facts about the Queen so that we are ready to ask her questions when she visits and will be learning how to paint a portrait using line, paint and colour mixing as we think the Queen would love to see our paintings of her! Mrs Tarrant and Miss Royce – Learning the 'ue' and 'aw' digraphs and we will also be reading and writing words and sentences with these sounds in. Mrs Williams - Learning alternative spellings for the 'igh' and 'f' sounds. Miss Stent – Learning to recognise the 'ow', 'oi' and 'ear' sounds in words with a selection of Phase 4 blends, e.g. st, gr, bl and ng. Mrs Inker- Learning to recognise and read words with the 'ur' and 'ow' sounds in. Mrs Thomas - Recognising the sounds, ck, u and r and using them to read and write CVC words. We will also be learning to read captions with words which have all of our previously learnt sounds in. Literacy - The children will be innovating the story, 'Katie in London' and will be changing the setting to the story. Katie and Jack will visit new landmarks in the story. We will be extending sentences with 'and' and will add to the story using noun phrases and the power of three where we describe a noun using three adjectives e.g. The London Eye is round, tall and big. Maths - This week in Maths, the children will be learning about measurement. We will be discussing the language we can use when describing length e.g. shorter and taller. The children will be measuring using non-standard units such as cubes and will progress to measuring with a ruler. The children will also be estimating the length of items before measuring them. DT Zone – This zone will be in Mole class this week and sends us back in time to London in 1666! We will be learning all about the Great Fire of London and identifying differences between fire equipment in 1666 and today. The children will also be designing and building their own houses from London in 1666. Art Zone – This zone will be in Fox class and the children will be learning about London today. They will be discussing sights which can be seen in London and will be learning different art techniques to create their own images of London. Geography Zone – This week, Badger class will be learning all about the United Kingdom and will become meteorologists. They will be identifying seasonal weather patterns and will also be learning about, and sorting items associated with England, Northern Ireland, Scotland and Wales. 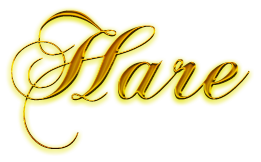 DT and History Zone - This zone will be in Hare class this week and also sends the children back in time to London in 1666! Here, the children will be learning about food from 1666 and comparing it to food they see today. They will also be becoming bakers and will be designing and baking Pudding Lane Bread! Mrs Tarrant and Miss Royce – Learning the 'oy' and 'ir' digraphs and we will also be reading and writing words and sentences with these sounds in. Miss Keast - Revisiting alternative pronounciations for the sounds, i, o, c, g, and u. Miss Stent – Learning to recognise the 'ar', 'ur' and 'or' sounds in words with a selection of Phase 4 blends, e.g. st, gr, bl and ng. Mrs Inker- Learning to recognise and read words with the 'ar' and 'or' sounds in. Mrs Thomas - Recognising the sounds, g, o, c and k and using them to read and write CVC words. We will also be learning to read captions with words which have all of our previously learnt sounds in. Literacy - The children will be continuing to learn our focus story, 'Katie in London'. They will be looking at the different settings from the story where Katie and Jack visited and will be building the vocabulary they require in order to describe the settings using adjectives. We will be continuing to construct sentences with a focus on saying the sentence we want to write out loud before we start writing and will be writing capital letters in green and full stops in red. Maths - This week in Maths, the children will be solving one step problems which involve addition and subtraction using unifix cubes or numicon. They will also be learning strategies they require to solve missing number problems such as 8 = ? +3. DT Zone – This zone will be in Fox class this week and sends us back in time to London in 1666! We will be learning all about the Great Fire of London and identifying differences between fire equipment in 1666 and today. The children will also be designing and building their own houses from London in 1666. Art Zone – This zone will be in Mole class and the children will be learning about London today. They will be discussing sights which can be seen in London and will be learning different art techniques to create their own images of London. Geography Zone – This week, Hare class will be learning all about the United Kingdom and will become meteorologists. They will be identifying seasonal weather patterns and will also be learning about, and sorting items associated with England, Northern Ireland, Scotland and Wales. DT and History Zone - This zone will be in Badger class this week and also sends the children back in time to London in 1666! Here, the children will be learning about food from 1666 and comparing it to food they see today. They will also be becoming bakers and will be designing and baking Pudding Lane Bread! Mrs Tarrant and Miss Royce – Learning the 'ie' and 'ea' digraphs and we will also be reading and writing words with these sounds in. Miss Keast - Learning alternative pronounciations for the sounds, i, o, c, g, and u.
Mrs Williams - Learning alternative spellings for the 'igh' and ''f' sounds. Miss Stent – Learning to recognise the 'igh' and 'oa' sounds in words with a selection of Phase 4 blends, e.g. st, gr, bl and ng. Mrs Inker- Learning to recognise and read words with the 'igh' and 'oa' sounds in. Mrs Thomas - Recognising the sounds, i, n, m and d and using them to read and write CVC words. Literacy - The children will be continuing to learn our focus story, 'Katie in London'. They will also be developing their writing skills by building word banks describing a London setting using verbs, nouns and adjectives, these will then be used to write a poem all about a place in London. The children will also be challenged to use similes to make the sentences in their poems even more exciting! Maths - This week in Maths, the children will be learning strategies for solving addition and subtraction sums with one and two digit numbers, such as using number lines to count forwards and backwards on and using unifix cubes or Numicon. DT Zone – This zone will be in Hare class this week and sends us back in time to London in 1666! We will be learning all about the Great Fire of London and identifying differences between fire equipment in 1666 and today. The children will also be designing and building their own houses from London in 1666. Art Zone – This zone will be in Badger class and the children will be learning about London today. They will be discussing sights which can be seen in London and will be learning different art techniques to create their own images of London. Geography Zone – This week, Fox class will be learning all about the United Kingdom and will become meteorologists. They will be identifying seasonal weather patterns and will also be learning about, and sorting items associated with England, Northern Ireland, Scotland and Wales. DT and History Zone - This zone will be in Mole class this week and also sends the children back in time to London in 1666! Here, the children will be learning about food from 1666 and comparing it to food they see today. They will also be becoming bakers and will be designing and baking Pudding Lane Bread! Mrs Tarrant and Miss Royce – Learning the 'ay' and 'ou' digraphs and we will also be reading words with these digraphs in. Miss Keast - Consolidating learning of the Phase 5 sounds learnt so far. Miss Stent – Learning to recognise the 'ai' and 'ee' digraphs in words with a selection of Phase 4 blends, e.g. st, gr, bl and ng. Mrs Inker- Learning to recognise and read words with the 'ai' and 'ee' digraphs in. Mrs Thomas - Recognising the sounds, s, a, t, i and p and using them to read and write CVC words. Literacy - The children will be learning actions to our new Talk for Writing story, 'Katie in London' and will also be learning all about story settings. Maths - This week in Maths, the children will be learning to recognise the addition, subtraction and equals symbols. We will be using vocabulary such as, more, add, less, take away, altogether and same as. On behalf of all of the Year 1 team, we would like to thank you for your kind gifts. We hope that you have all had a very enjoyable and restful Christmas and New Year. Literacy - The children will be busy using their Phonic knowledge to support them to write labels for Paddington Bear. Maths - This week in Maths, the children will be working hard to recall number bonds up to 20. This term sees the start of our new topic, Bright Lights, Big City. Each classroom will be transformed into a different zone each week, which will be rotated. DT Zone – This zone sends us back in time to London in 1666! We will be learning all about the Great Fire of London and identifying differences between fire equipment in 1666 and today. The children will also be designing and building their own houses from London in 1666. Art Zone – In this zone, the children will be learning about London today. They will be discussing sights which can be seen in London and will be learning different art techniques to create their own images of London. Geography Zone – Here, the children will be learning all about the United Kingdom and will become meteorologists. They will be identifying seasonal weather patterns and will also be learning about, and sorting items associated with England, Northern Ireland, Scotland and Wales. DT and History Zone - This zone also sends the children back in time to London in 1666! Here, the children will be learning about food from 1666 and comparing it to food they see today. They will also be becoming bakers and will be designing and baking Pudding Lane Bread! During this week our learning will continue right up to the final day of term. Our timetable will remain the same except that there may be Christmas music playing in the background as we work! Please join Year 1 on Monday 10th December for a very exciting Christmas Singalong! The children have worked very hard to learn all of the songs and are looking forward to their performances! Please can children come to school on Monday in full school uniform and not PE uniform. Mrs Tarrant and Miss Royce – Revision of reading strategies and writing words with a selection of different phase 4 blends. Mrs Williams - Revision of reading and writing words with a variety of Phase 5 sounds. Miss Keast – Recognising split digraphs in words, a-e, e-e, i-e, o-e and u-e.
Miss Stent – Learning to recognise the 'ure' trigraph in words. In MATHS this week we will be learning to explain whether a number is less than, more than or equal to when compared with another number up to or beyond twenty. In LITERACY this week we will be building and writing sentences using nouns and verbs all about the Snowman! Mrs Tarrant and Miss Royce – reading strategies and writing words with a selection of different phase 4 blends. Mrs Williams - alternative spellings for ee and ch. were, there, little, one. The words we are learning to spell are - they, all, are. In MATHS this week we will be deepening the children’s understanding of place value, working with numbers 0-20. The children will continue to develop their knowledge of teen numbers by finding 1 more and 1 less. In LITERACY this week we will be continuing with our story of ‘Superkid’. Our HOT TASK this week is centered around describing the main character’s personality. We will then be introducing instruction writing, eventually writing about how to catch a villain. Mrs Williams – alternative spellings for previously learnt sounds: ai, c. Continue to consolidate the tricky words: many, laughed, any, because different, eyes. Mrs Tarrant and Miss Royce – We are learning to read and write words with blends focusing on the sounds– air, ure and er. The tricky words we will be learning to read are - Oh, their, people, Mr. The words we are learning to spell are - my, her. Miss Keast – alternative graphemes for previously learnt sounds: oy, ir, ue, aw. Mrs Thomas - We are learning to recognise and blend these sounds in words, ar, or, ur and ow. In LITERACY this week the children will be writing a character description all about Superkid! They will focus on using adjectives to make their writing even more exciting and will focus their writing on Superkid's appearance and personality. In MATHS this week we will be deepening the children’s understanding of place value, working with numbers 0-20. They will learn to count both forwards and backwards and recognise the pattern between numbers 0-9 and 10-19. Each classroom will be transformed into a different Zone each week, which will be rotated. Computing and Literacy Zone – The children will be using an exciting app called ‘I can animate’ to create their own stop motion. Purple mash will be used in order for the children to make wanted posters. A lair will also be built for some villains , as well as many other literacy based activities. PE and DT Zone – this is a Superhero training Zone where the children will learn about what makes us fit and healthy. They will be making their own superhero obstacle courses, designing and making smoothies and labelling them. The role play area will be a smoothie bar! Science Zone – the children will be exploring, describing and sorting different materials. Mrs Williams – alternative pronunciations for previously learnt sounds: ay, ah, or. Tricky words: many, laughed, any, because different, eyes. Mrs Tarrant and Miss Royce – We are learning to read and write words with blends focusing on the digraphs - er, ee and ar. The tricky words we will be learning to read are - were, there, little, one. The words we are learning to spell are - they, all, are. Miss Stent – digraphs ur and ow, high frequency words: if, it, is, in. In LITERACY we are starting our new Talk for Writing Unit based on a superhero story. The children will be learning the story though actions and will help their class teacher to create a story board they will use when retelling the story. They will be creating puppets of the main character to use when retelling the story and will also be acting out and creating freeze frames from the story. Mrs Tarrant and Miss Royce – We are learning to read and write words with blends focusing on the digraphs - ar, or and ur. The tricky words we will be learning to read are - were, there, little, one. The words we are learning to spell are - they, all, are. Miss Keast – phase 5a – alternative graphemes for the sounds ay, ie, ou, ea. Miss Tarrant & Miss Royce – phase 4 – reading words with blends, focusing on igh, oa and oo. In LITERACY this week we will be making lots of links with Science. The children will be learning a story board and the corresponding ‘Talk for Writing’ actions to retell the science investigation they have been exploring, as well as using their phonics to sound out when writing a sentence for their conclusion. In MATHS this week we will be making close links with our science objectives which include: weighing and measuring, testing materials. For our Science Week, week beg 5th November, we are going to be making bridges! The children are now being encouraged to change their own reading book on a Monday and Friday. This gives them the opportunity to choose a book which they are interested in reading. It is possible that your child will select the same book more than once however, please continue to enjoy sharing that book as this will allow your child to grow in confidence and will also foster a great love of reading! We are also introducing book boxes for each annexe! These books are a variety of fiction and non-fiction and are there for you to choose with your child and share at home. The boxes will be outside the classroom doors in the morning before school starts. We do ask that you return the book before choosing another one. Year 1 are on the look out for mystery readers! If you would like to come and read a story to a Year 1 class and have some time when you would be available to, we would love to hear from you! Please speak to your child's class teacher for more information and to arrange a convenient time. Superhero day is happening on Wednesday 31st October. The children are invited to come to school dressed as their own or favourite superhero and be prepared for a day full of exciting superhero activities! Mrs Williams – Learning to blend Phase 5 sounds when reading different words. Miss Keast – Learning to recognise, read and write Phase 5 sounds. Miss Stent – Revising Phase 3 sounds learnt to date. Mrs Tarrant and Miss Royce – Learning to read words with the qu, sh, ch and th digraphs with a focus on words with blends in i.e. st, bl, gr. Mrs Thomas – Learning the j, v, w and x sounds. In MATHS this week we will be continuing to learn to add and subtract and will be making links between these two operations. We will be looking at superhero word problems for addition and subtraction. The children will also be using the ‘part-part-whole’ model to find number facts and identify missing numbers within number sentences. In LITERACY this week we will be starting our new Talk for Writing topic all about superheroes. The children will describe a superhero image using the vocabulary, nouns, adjectives and verbs. The word banks they build will then be used to support the children in writing a poem all about their superhero image! We are continuing to train the children to write their capital letters in green and their full stops in red. Mrs Williams – digraphs including: aw, ue, oy. Tricky words: Mr, Mrs, looked, called. Miss Stent – cvcc words, learning how to sound out and blend 2 syllable words. Mrs Inker and Mrs Bone – cvcc words, learning how to sound out and blend 2 syllable words. In MATHS this week we will be continuing using the ‘part-part-whole’ model. Using the addition and equal sign. In LITERACY this week we will be innovating the story of Stanley’s stick to turn it into their own story. They will be changing the stick to a different item and use adjectives to describe them. We have been training the children to highlight their capital letters in green and their full stops in red. In LITERACY this week we will be continuing the story of Stanley Stick, looking at sentence structure and punctuation. We have been training the children to highlight their capital letters in green and their full stops in red. Mrs Williams – digraphs including: ph, wh, aw. Tricky words: for, they, on. Miss Keast – alternative pronunciations of the ‘a’ grapheme and the ‘e’ grapheme. Miss Stent – digraphs ‘or’ ‘er’. Mrs Tarrant and Miss Royce – digraphs such as; ai, er. Mrs Inker and Mrs Bone – digraphs ‘or’ ‘er’. We are planning on visiting the woodland area at the junior school next Wednesday and Thursday, during school hours. In light of this, please can all children have a pair of wellington boots that they can have at school on a permanent basis. These can be stored on the boot racks located outside each classroom. I'm sure you have all seen your child's Easimaths login, located in their reading record books. We have asked the children to challenge themselves by completing at least 20 mins per week at home. Every few weeks we do look at this home learning to see how many minutes each child has achieved so far! If you have any difficulties in accessing this activity, or you think your child could manage a higher level within Easimaths, then please consult your class teacher. Mrs Williams – digraphs including: oy, ir, ue. Tricky words: said, some, you, was. Miss Keast – alternative pronunciations of the ‘i’ grapheme and the ‘o’ grapheme. Miss Stent – trigraphs including ure, air, ear. Mrs Tarrant and Miss Royce – sounds such as; ch, sh, th. In MATHS this week the children will be learning to compare numbers using the language of "more than", "less than" and "equal to". They will also be learning to use the symbols > < and = to compare numbers. You can support your child's learning at home by encouraging them to compare amounts, asking "Which is more?" and " Which is less?". Games are available online to support your child's understanding of place value to 10 and 20, for example The Coconut Ordering game https://www.topmarks.co.uk/ordering-and-sequencing/coconut-ordering on the top marks website. 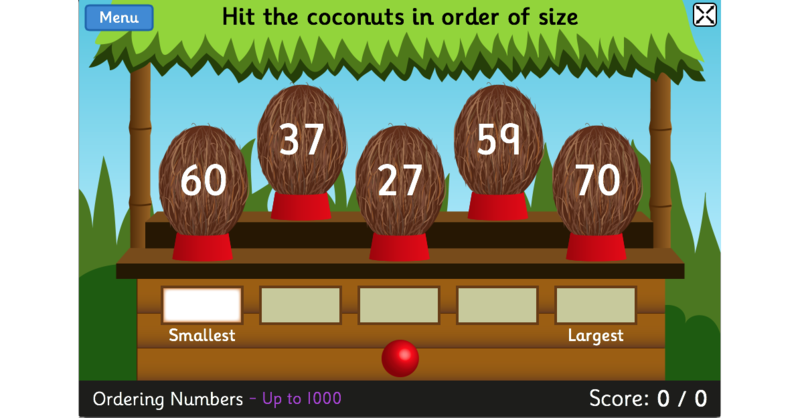 Coconut Ordering is a free, tablet-friendly maths game designed to help children from 5 to 11 years of age compare numbers, money, mass, length and capacity. The higher levels involve metric notation. In LITERACY this week we will be introducing a new story to the children entitled ‘Stanley Stick’. The children will be learning to retell our new story, through actions and a visual story map. We will also be continuing sentences using descriptive vocabulary and finishing sentences with a full stop. Art Zone – The children will be learning how to sketch and draw different woodland animals, adding detail using a variety of sketching techniques. They will be making leaf prints and exploring a range of different natural materials. Computing Zone – We will explore the ‘Beebots’, navigating them through a forest and embarking on an eventful woodland trail. Learning lots of facts about woodland creatures will be a focus, including learning how to use a new programme on the IPads. DT Zone - This zone will include: designing and making a ‘Tree Boggart’ out of clay and natural materials. The children will learn how to make a blackberry crumble, have fun designing dens and playing lots of games! Science Zone – We will be going on a hunt to find Deciduous and Evergreen trees. We will learn the similarities and differences between them and how to spot them. We will have to solve many challenges set by the Fairies and the Elves, discovering how to classify leaves and find the woodland animals! We hope you've all enjoyed the holidays and are looking forward to starting Year 1, the staff are all very excited to get to know their new classes. The Year 1 PE days are Mondays and Fridays so please can your children wear PE kits and trainers on these days. Please also tie long hair back and remove earrings. We will be sending home reading books which will be changed on a Monday and Friday. We are thrilled to be embarking on our first topic ‘The Enchanted Woodland’. Our topic has a magical twist as we enter The Enchanted Woodland! We will be using a variety of texts as stimuli for our imagination and our writing. We will be looking in detail at character and setting descriptions, which will develop into the children writing their own woodland stories. In Maths the children will be revisiting their learning from Reception by counting to 20, both forwards and backwards and ordering numbers from smallest to largest. You can support their learning at home by counting objects e.g toys or items in a shopping basket.